When Ashley was 11 years old, her world as she knew it came to an end during a phone call where her dad told her that he and her mom were getting a divorce. She took the news very hard and struggled to adjust for some time thereafter. Her mother looked to Big Brothers Big Sisters of Central Texas and decided to enroll Ashley in the program in hopes of finding someone who Ashley could trust and lean on through this tough time. 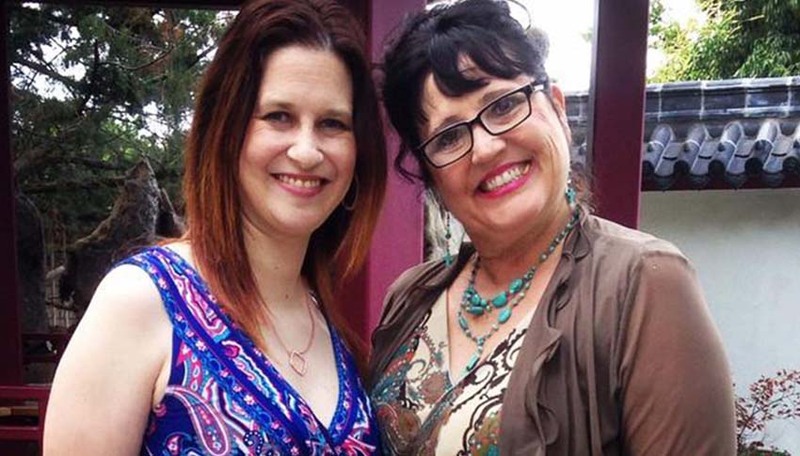 In the fall of 1987, Ashley was matched with her Big Sister Tammey. One of their first meetings took place at the school where Tammey worked. There, Little Sister Ashley saw how beloved Tammey was by the students and realized what an exceptional person she was. From day one, Tammey took her Little Sister under her wing and made her part of her family. They ran errands, cooked, ate dinner together, and went to the movies. They grew even closer when Ashley was the first extended family member to hold Tammey’s second son in the hospital. When Tammey moved away for several years, they both feared that this would put a damper on their relationship; however, it did just the opposite. This move allowed them to appreciate their relationship even more. Soon afte0,r Tammey would move again and add even more distance between her and her Little Sister. This move hindered the frequency in which they saw each other, but it did not break their strong bond. Their sisterhood remains steadfast to this very day. Big Sister Tammey has been there for Little Sister Ashley by attending her wedding, providing support through tough times, and always being welcome with open arms – nearly 30 years later.